Happy New Year!!! Well, almost anyway. It's New Year's Eve day and I am finishing up some last minute, end of the year items at my office. It's just before Eleven A.M. and I am already itching to be out of here. It's quiet and almost deserted. Seems perfect for writing up some New Year's thoughts before I skeedaddle. This year had it's ups and downs. 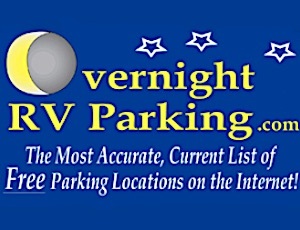 The failure of my old Solar Charging system's panels put a severe dent in my RV travel plans during this past summer. Hopefully, (well definitely!) that's fixed for the upcoming season. I found some pretty cool items and modifications that made life in my small class A more comfortable. I made it past my 100 Article! I've had the opportunity to share my trials and tribulations with all of you and I am grateful for the friends I've made through these short written pieces. What's on the agenda for this New year? I have a list....yes it's pretty extensive and grows all the time. Seems like each time I remove something from the list, another item takes it's place. Some of the bigger projects for this year? First, will be the implementation of my Solar Thermal Hot Water System. This one got put on hold when the old Solar Panels quit working. Now that the new ones are all set, I can get back to work on heating hot water with the sun. Turning wasted furnace exhaust heat into usable, battery charging, electricity is high on the list. If this works and I can offset battery amp usage when the furnace fan is on it will significantly extend my RV'ing season. RV forced hot air furnace fans are a BIG drain on a battery bank. Especially a small two battery one like mine! Next up? Lithium Phosphate batteries as replacements for Lead Acid. I've been keeping tabs on this front for a couple of years. Prices are really starting to come down and the technology is soon going to allow direct replacement of Lead acids (even the battery physical sizes will be the same) lighter, more power storage and longer lasting. Right now....it's simply not cost effective. But soon it may well be. Then there's the ongoing maintenance projects. Like any home, an RV requires some basic house-style maintenance. The main difference? Your stick built house doesn't drive down the highway at 65 MPH! That will rattle all sorts of things. Come spring, I have a long list that I go through to prep for the season. Things like tightening all the screws that have vibrated loose over the previous season, checking rubber for dry rot and crack, and such. The better you take care of your RV the longer it will last AND give you far less trouble during your ownership. If you attend to maintenance items a bit at a time, no project becomes overwhelming. I'm all for easier....believe me! As always, I am looking for cool projects that make RV'ing more efficient, easier or more fun! Let me know if you think of something to try and I'll attempt to put it into practice!